material to finished product, Elmet’s integrated manufacturing process, quality systems, and metallurgical expertise ensure we deliver quality components for the crystal growth industry. 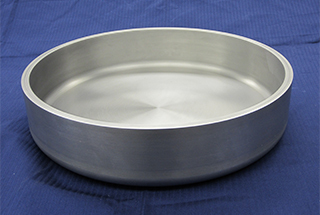 Elmet produces molybdenum and tungsten crucibles for leading sapphire growth furnace OEMs and crystal growers around the world. Corrosion resistance, creep resistance, and high-temperature performance make these materials ideal for use in high-temperature crystal growth processes.